Red Brand’s support for FFA goes all the way back to 1947. With each decade we’ve brought unique and valuable resources to the national organization. 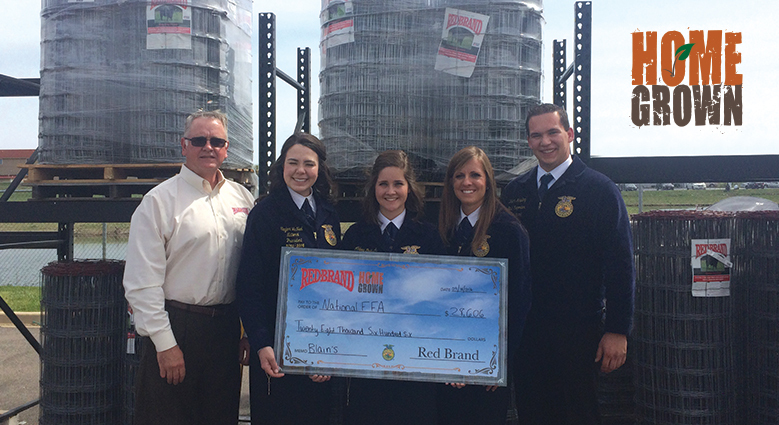 Recognized as a Gold Level Sponsor, we contribute to the FFA Foundation and help fund SAE grants. In addition, we sponsor two national Proficiency Awards, including Agricultural Communications and Equine Science. Furthermore, at the National FFA Convention, we offer our expertise each year to judge national-level competitions. In addition to investing in the FFA organization at the national level, Red Brand is especially proud of the commitment we extend to local chapters. It is here where we strive to encourage, guide and advocate for students. To do this, we’ve developed two unique programs. Home Grown helps raise funds for local chapters. Fence 101 teaches basic ag fence fundamentals. In 2010, Red Brand launched Home Grown, a grass-roots funding program. Through Home Grown, every roll of Red Brand fence ordered is a chance to support a local chapter. Across the United States, Home Grown continues to grow. So far, Red Brand has contributed almost one million dollars to over 1,250 chapters. For future farmers, property owners and ag business leaders, knowledge of proper fencing will be essential. 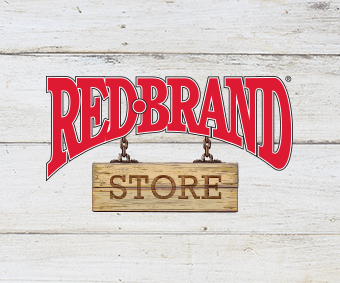 As a result, Red Brand has developed the only classroom curriculum of its kind. The comprehensive program focuses on the importance of correct selection, calculation and installation of agricultural fencing. Available to FFA advisors, Fence 101 is a “curriculum in a box”, designed to teach young people what they’ll need to know about ag fencing. Red Brand’s legacy goes beyond our fences. It’s carried on in the youth that we support through FFA. We are proud to help young people explore their career options and agricultural pathways through our unique programs. 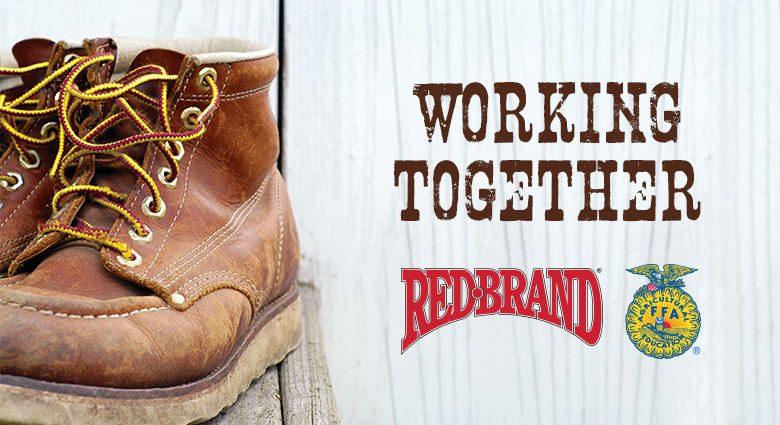 Learn more about our ongoing support at RedBrand.com/FFA.